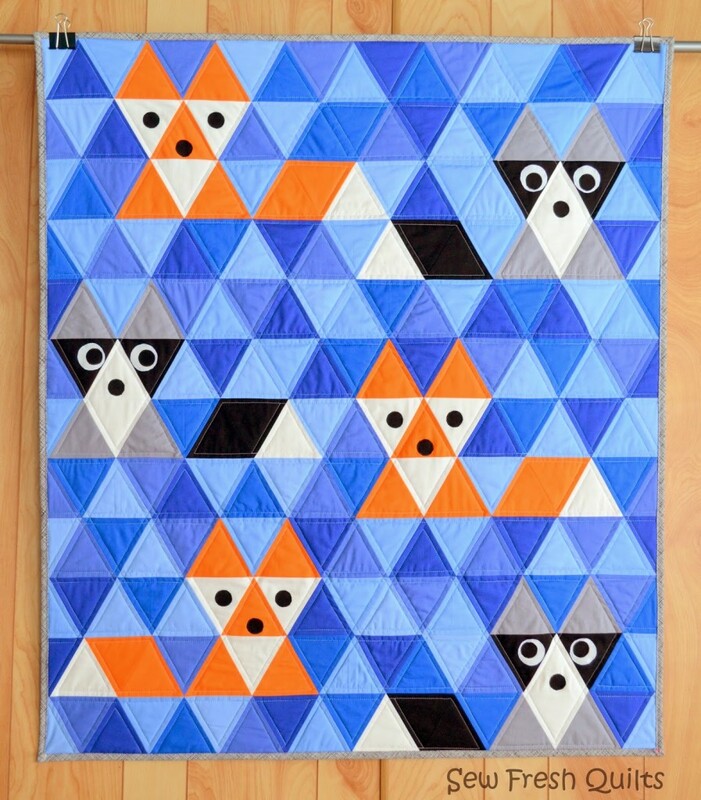 Solid triangles come together to make the most adorable creatures in this Fox and Friends quilt from Sew Fresh Quilts! Don’t you love their cute little faces!? They pop off this great blue background and right into your heart! Check out all the details of the Fox and Friends quilt.